While most know about blockchain as the foundation of cryptocurrencies, even blockchain enthusiasts seem to be overlooking perhaps the most important capability of blockchain: an ideal systems integrator. Blockchain (BC) can be used to connect together siloed databases across multiple organizations and business processes, exploiting the IOT and Smart Contract billing and administrative cost reduction advantages while protecting confidentiality. Just as important is Blockchain’s security and reliability which make it a much safer and more feasible means to connect a wide variety and large number of business partners together. BC as a secure distributed ledger is a key feature we all know of, but it is the specific capability of BC technology to allow integration and limited/trusted/secure sharing of data across not just multiple IT systems and companies but even competing parties and government regulators that really yields significant advantage for business applications. The power of BC as an integrator is rarely mentioned, but probably the most valuable application of this technology. Maister insists that the primary goal of strategic planning must be “superior resolve to accomplish something.” Having run the strategic planning process at ConAgra Inc, and helped dozens of companies do strategic planning, I heartily agree. So how do you get more buy in and resolve to implement a strategic plan? A great way to get resolve and commitment to strategic and new product development plans is business strategy wargames. The most cited advantage from wargaming is uncovering strategic insights, new ideas for opportunities to pursue, and mistakes to avoid, that participants often had no idea of prior to the wargame. But the biggest advantage may be building resolve to implement the plans that emerge from the strategy wargame. Wargames empower managers in your organization with different views and concerns about your plans to offer new ideas in a forum where challenges to current thinking is welcome. Unlike a planning meetings, wargames are also fun. People get into it with an intensity unimaginable in traditional planning sessions. Business strategy wargames are a great teambuilding exercise, but most important—the ideal way to develop plans that your team is psyched to pursue. 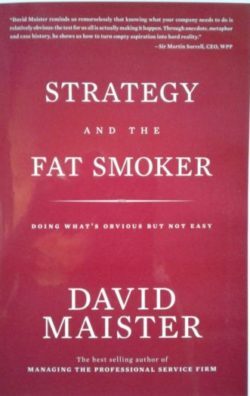 Wargames also are a solution to another problem with strategic plans that Maister addressed: “Perhaps the single biggest difficulty in getting an organization’s members to stick to the diet is convincing them that top management really wants them to.” People know that most strategic plans are filed on the shelve once approved and forgotten. This was not the result after an intense wargame at ConAgra: at the end of the business wargame, CEO Phil Fletcher announced immediate actions we would take to implement several of the must-do ideas that emerged from the wargame. In the CEO’s letter in the next annual report, a major portion of the letter was devoted to the wargame results. Several major corporate initiatives were implemented based on wargame findings. The resolve the management team felt from the invigorating wargame process, developing ideas in an intense wargame cauldron they participated in, and the CEO’s clear commitment to implementing the plans that emerged, ensured they succeeded. Maister is right. “The necessary outcome of strategic planning is not analytical insight but resolve.” Wargames are the best way to explore the possible impact of changing industry conditions, and test business development and strategic plans under realistic conditions—but their major value may be generating the excitement, buy in, and determination to truly implement the recommendations that emerge. A business wargame is a strategic exercise simulating several years of competition. 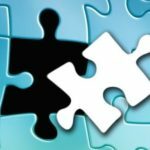 Company staff split into teams representing competing companies, then develop and simulate implementation of strategies–with competitors, customers, and the market reacting to and sometimes fighting these initiatives. This yields far more intense, innovative, and realistic insights. Business strategy wargames are the best way to develop, stress test, and improve new product development and strategic plan ideas, as well as experiment with different approaches to deal with coming technology, marketplace, regulatory, or other changes. We held a business strategy wargame in January on international trade disruptions from possible Trump Administration trade wars, and produced some videos that explain and illustrate how wargames work. You can get an idea of the intensity and involvement of a wargame versus a series of traditonal planning meetings by watching this brief overview of how business wargames operate. If you’re interested in more information please contact Dr. Drew Miller at drmiller@advanaapp.com. Copyright 2019 Advanced Analysis Applications.